With summer popping it’s head out, a Sunday roadtrip to Langebaan was definitely on the cards. 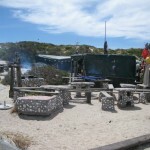 2 hour drive along the Weskus past Ysterfontein took us to Langebaan. I must admit, the place has changed drastically since i was last there a few years back. They even have a new shopping centre and some very cliche JHB looking estate agent with his face plastered all over the billboards. The only slight problem we had with the trip out there, was that the restaurants in Langebaan only open after 12!? 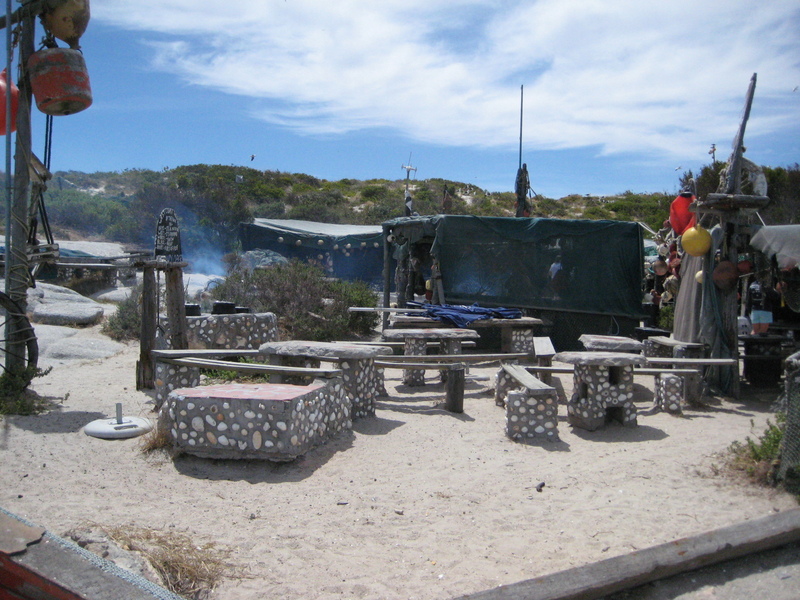 So without resorting to normal take aways, a little sightseeing at Mykonos was in order, with us ending up at Die Strandloper. Right on the sea, a very rustic, fishing themed little place, yet absolutely amazing. Remember to book in advance though if you are interested in having a “meal” there, R170 per person get’s you a 10 course meal, GREAT seafood (the massive potjie pots brewing in the background) and feel free to bring your own alcohol.